In the dog-eat-dog world of business, who is better suited to teach us about leadership and motivation than a chief motivational hound? It makes perfect sense, right? Seriously though, leadership skills and workplace motivation are critical skills for anyone who is serious about being in business. Yet, these skills can be difficult to teach and even more difficult to learn. Still, there are some lessons we can learn from our dogs about motivation, leadership and becoming a better person in general. When Mr. Blue first found his way to Tracey Jones, Tracey already had a pretty extensive background in leadership and motivational teaching. Her father, Charlie (“Tremendous”) Jones, was a famous motivational speaker and teacher in his own right. Charlie believed that in 5 years you would still be the same person you are today except for two very important things: the people you meet and the books you read. Now, those seem like some pretty wise words to me! When Tracey first met the little ball of fluff that would later become known as Mr. Blue, she wasn’t even planning on adopting a puppy. But she fell in love with him and off he went to share her home and her heart. 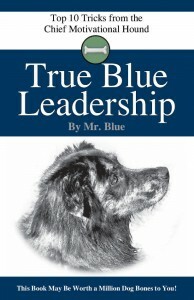 At some point, Tracey realized that Mr. Blue had some lessons about leadership and motivation of his own to teach. How Can a Swaggering Walk Teach Anything About Leadership or Motivation? I’m not going to answer that question. You’ll have to listen to my interview with Tracey to find the answer. But I’ll give you a hint. It has to do with looking as good going as you do coming. Okay, ’nuff said. 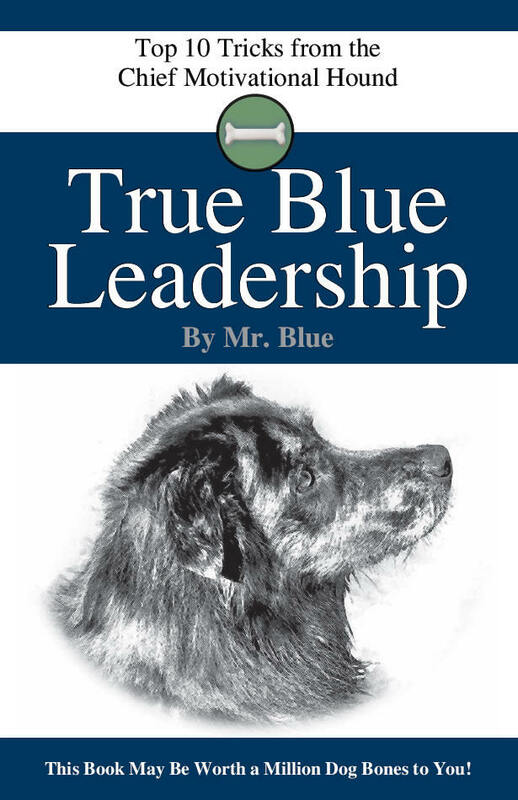 Listen to the my interview with Tracey Jones to learn more about the leadership skills and workplace motivation lessons taught by Mr. Blue. Tracey is the co-pawthor (with Mr. Blue, of course) of True Blue Leadership: Top 10 Tricks from the Chief Motivational Hound. This entry was posted in Leadership/Motivation/Counseling, Lorie Huston and tagged dogs, leadership skills, motivation and leadership, pets, workplace motivation on June 27, 2011 by Lorie Huston, DVM. Charles "Tremendous" Jones is a hero! 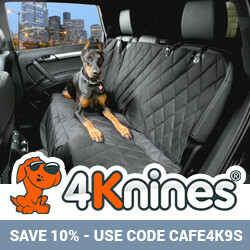 What a great guest on the Animal Cafe!